Mock Trial Camp participants will work with a lead instructor, Attorney David Andrews. 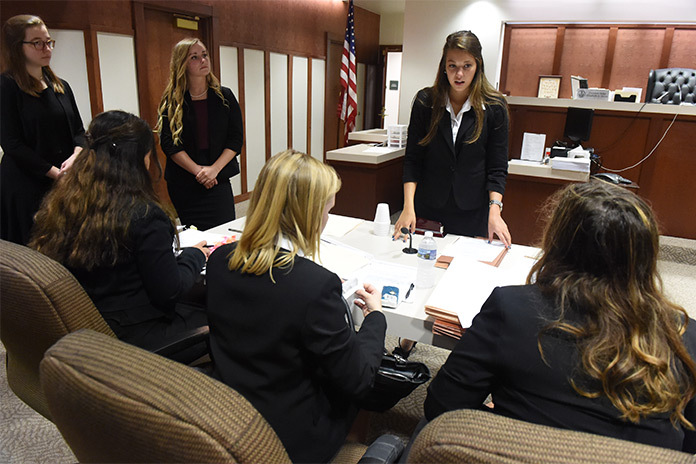 Attorney Andrews coaches the Juniata College Mock Trial Team, and led the team to a championship in 2018. Previously, Attorney Andrews coached the Altoona Area High School, leading the team to a state championship. At the camp, students will participate in workshops with members of the Juniata Mock Trial Team on the Rules of Evidence, Direct and Cross Examinations, Opening and Closing Statements, and being an Effective Witness. The participants will also work on an actual case, and will compete in teams against each other to conclude the camp. This is an overnight camp and all meals and lodging in our residence halls are included. Mock Trial Camp will begin at 11 a.m. on Wednesday, June 19 and conclude at 4 p.m. on Friday, June 21. **Payment, including a $50 non-refundable fee, is due in full at the time of registration. No refunds issued for cancellations made within 2 weeks of the camp.